Possibility to spend the night at Dhaka airport (DAC), if open 24 hours. Services available, places to rest (free resting zones), or look for the list of nearby hotels and vip lounges..
Dakha's is an old airport, and although it is open around the clock, there are not many amenities, so it is best to have a plan B. Where to rest: There are not many options for a rest inside the enclosure. 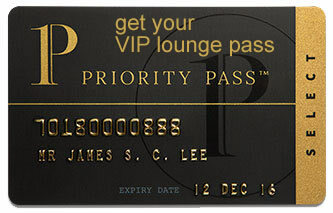 There are some VIP lounges that open 24 hours a day, but keep in mind that they may have a maximum stay. SEE VIP LOUNGES It would be best to book into a hotel, some of which, in addition, operate transfer services. Baggage: You will have to keep your bags with you until check-in hours, as there is no left luggage service. There are no on-site hotels. The closest accommodations, some of which provide transport services, include: Best Western Plus Maple Leaf (Tel +880 196 666 7675), Richmond Hotel & Suites (Tel +880 197 424 6663), Dhaka Regency Hotel & Resort (Tel +880 171 333 2651), Holiday Xpress (Tel +880 177 986 9290), Hotel Shuvo International (Tel +880 171 111 9681), Hotel Sadia International (Tel +880 171 524 0209), Hotel Maria International (Tel +880 248 952 580), Hotel Afford Inn (Tel +880 178 844 4555), Green House Hotel & Tours (Tel +880 248 954 953), Garden Residence (Tel +880 171 316 2619).